A joint initiative by BCM Institute and the Singapore Workforce Development Agency (WDA). 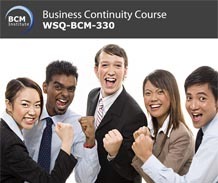 This is the third in a three-part series WSQ BCM workshops. Participants who complete the three part series will be able to achieve a Business Continuity Certified Specialist (BCCS) certification*. The workshop covers supporting the periodic exercising of crisis response and recovery activities and periodic auditing of business continuity plans, participating in business continuity testing, as well as documenting formal exercise and testing for management review. 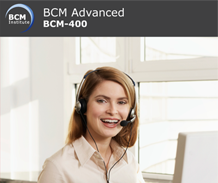 Participants are trained and equipped with the necessary toolkit to design and develop their test and exercise based on the maturity of BCM program. To conduct business continuity exercise tests.